The first step to relieving your pain is to discover the source through a thorough exam and consultation. Based on the findings of your exam, we will create a customized care plan that best suites your needs and explain the next steps forward toward your wellness goals. By following your customized care plan consisting of chiropractic and physical therapy, you will return to the active lifestyle you have always deserved. Any misaligned vertebra along your spine will cause bad posture and pinched nerves which result in discomfort and eventually in the firing of nerves that will cause you pain in your muscles and skeletal system. 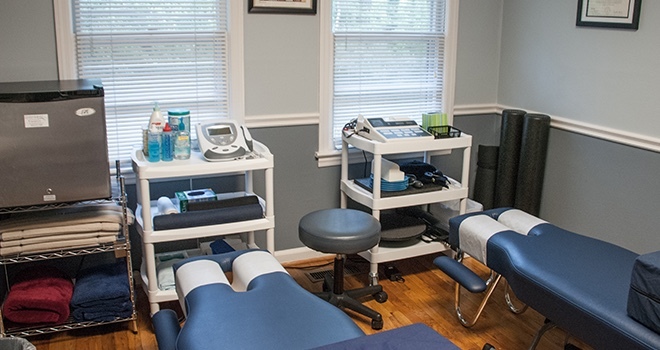 My focus as a chiropractor is to eliminate your painful symptoms, correct spinal alignment, and provide wellness education for a healthy future. Your injuries caused by even a slow moving car accident can result in headaches, dizziness, pain in your shoulders, arms and hands, and stiffness in your neck and lower back. Our clinic provides full rehab services for sports injuries, car accidents, and muscle pain with the aid of Ultrasound therapy, electrical stimulation, therapeutic exercises, FAKTR.